Cranfield University Blogs | Where can I find credit ratings for companies? A credit rating (or score) is a measure of a company or corporation’s ability to meet their financial commitments based on their previous dealings. It can also be viewed as a measure of a company’s credit worthiness when issuing bonds. 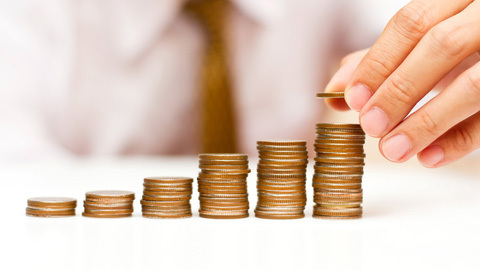 Scores will be calculated by reference to various items, for example cash flow, profits, equity and financial ratios. The rating system and calculations vary between each however generally they range from AAA+ [Good] to CCC [Poor]. 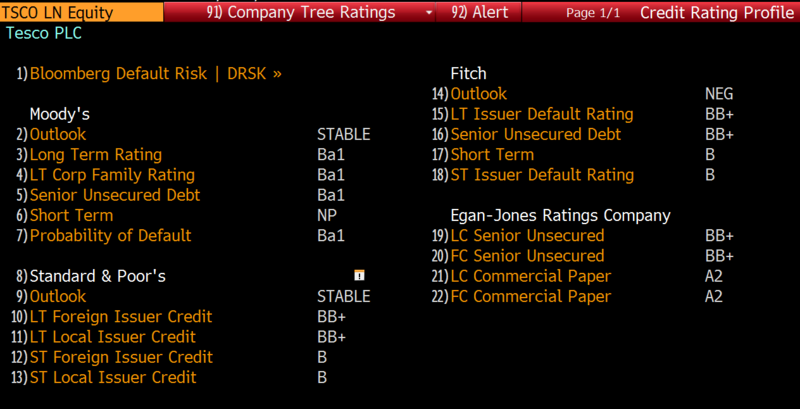 On Bloomberg you can get to a company (equity) credit rating by entering the code CRPR which will give you the credit rating profile. An example is shown below. To access the credit ratings on Thomson One you can select ‘Debt Overview’ from the toolbar once you are in the relevant company record. 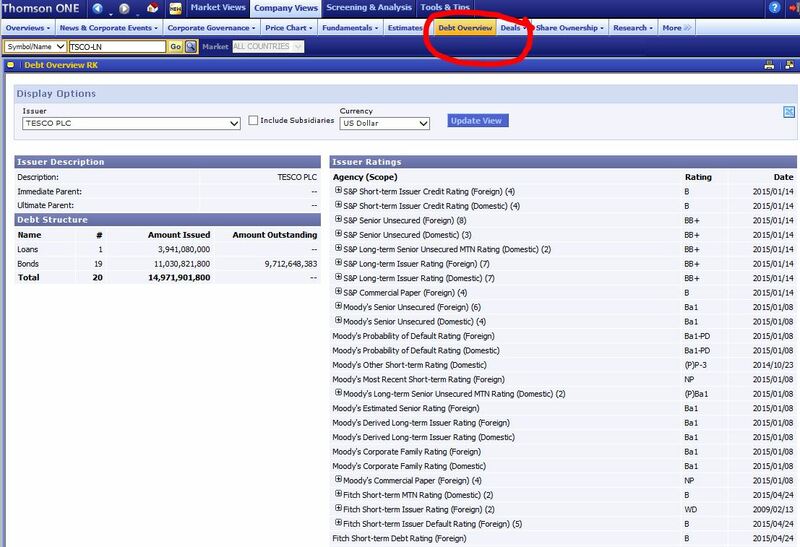 Fame has a new credit rating system, developed by the company CRIF Decision Solutions in collaboration with Jordan’s, which provides a number that predicts whether a company will become insolvent. 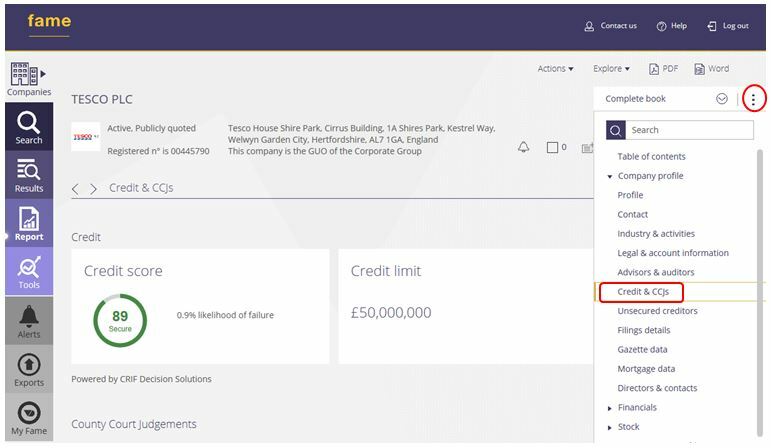 To view the credit rating for a company, use the dots icon on the right-hand side to open up the table of contents, and select ‘Credit & CCJs’. Refer to our Comparing Financial Resources guide to find out where you can find these listed in our resources.